The black suede Jimmy Choo Aimee is a classic shoe with a thin, elegant platform. 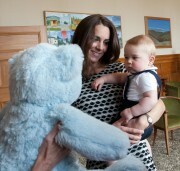 The Duchess of Cambridge has worn it on several occasions publicly since April 2014. 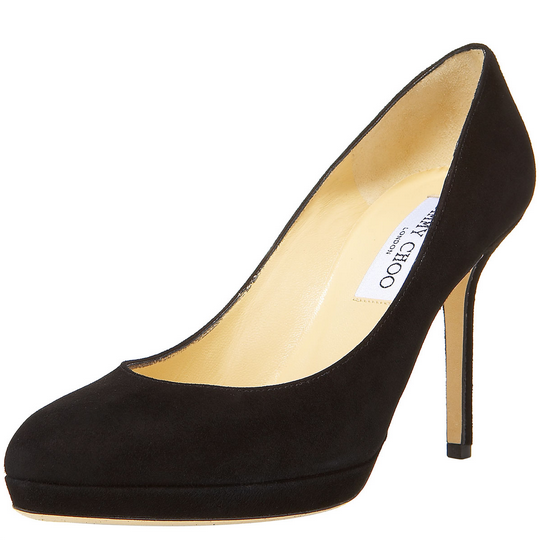 Jimmy Choo Aimee suede platform suede pump transforms the line of your leg with a slimming, lengthening effect. From board meetings to dinner with the girls, there’s no outfit Jimmy Choo pumps can’t handle, and no task you can’t accomplish while wearing them. The shoe features a classic classic almond-toe shape. It has a low platform, a medium-sized heel and is finished with padded leather lining. Like all Jimmy Choo’s shoes, the “Aimee” is made in Italy. The black suede shoe has sold out.